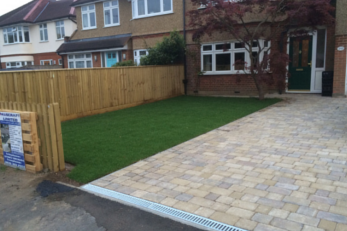 Block paving is one of the most popular materials for drives and paths. It is cost effective, durable and can be laid in many patterns, colours, styles and finishes. It can also be easily maintained, and in cases of stains and damage, individual blocks replaced. We use a high quality paving blocks as standard from the leading manufactures such as Marshalls, Stonemarket, Brett, Hanson, Bradstone and Natural Stone Paving. These products are constructed to the highest industry standards and will look stunning for years. 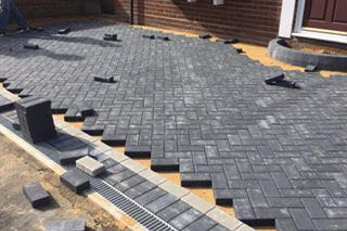 PaveCraft Ltd install blocks, or paving sets, and have the creativity to ensure you have a driveway, patio or path that is the envy of your whole neighbourhood. 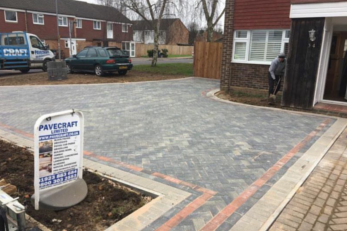 Pavecraft Ltd specialise in providing more services than just block paving in Pinner. Our expertise and our ever growing team means we are able to cover more areas and services than ever before! We have 140+ Reviews on Trust A Trader!